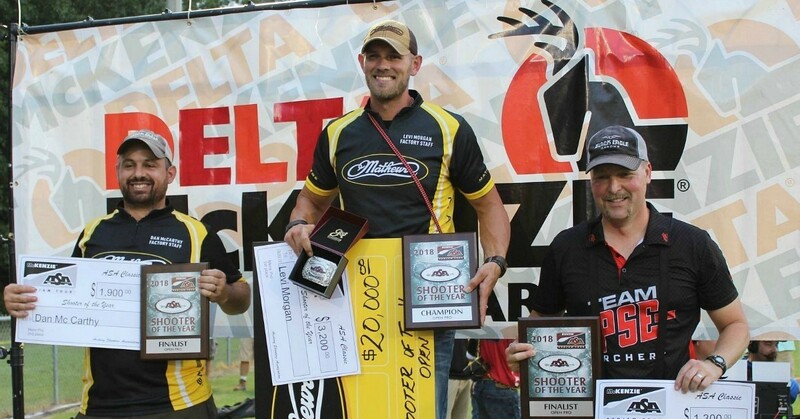 Pro shooter Levi Morgan continued his dominance of the Archery Shooters Association (ASA) Open Pro Division claiming the ASA World Championship and his 12th straight ASA Shooter of the Year titles. Prior to that, Morgan claimed the International Bowhunting Organization’s (IBO) National Triple Crown title in Franklin, Pennsylvania. 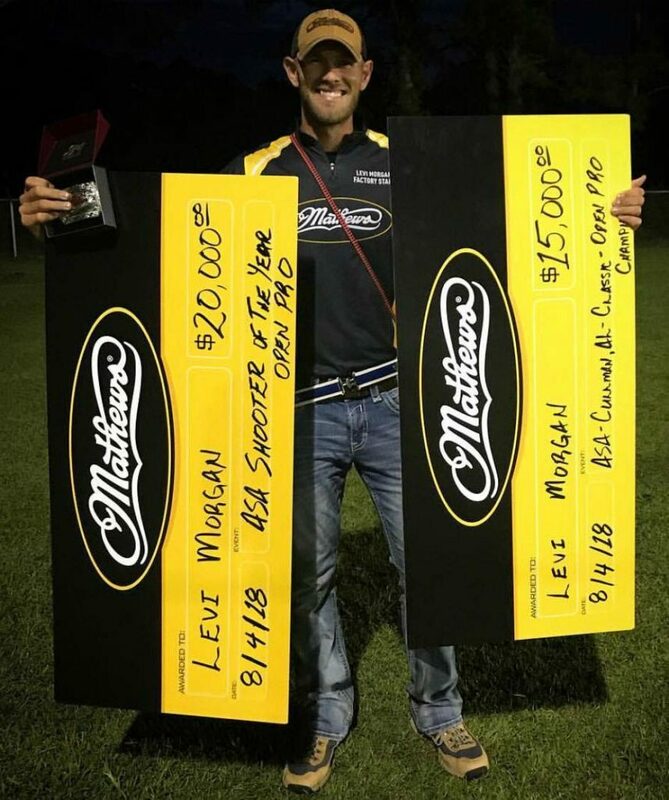 A longtime Gold Tip arrows and Mathews bows shooter, Levi Morgan has dominated the archery tournament rotation for more than a decade. He has claimed 12 straight ASA Shooter of the Year titles, seven IBO Triple-Crown Championships, and five IBO World Championships, making him the most decorated archer of this century. Gold Tip pro shooters Tim Gillingham and Erin McGladdery have also been on a roll. 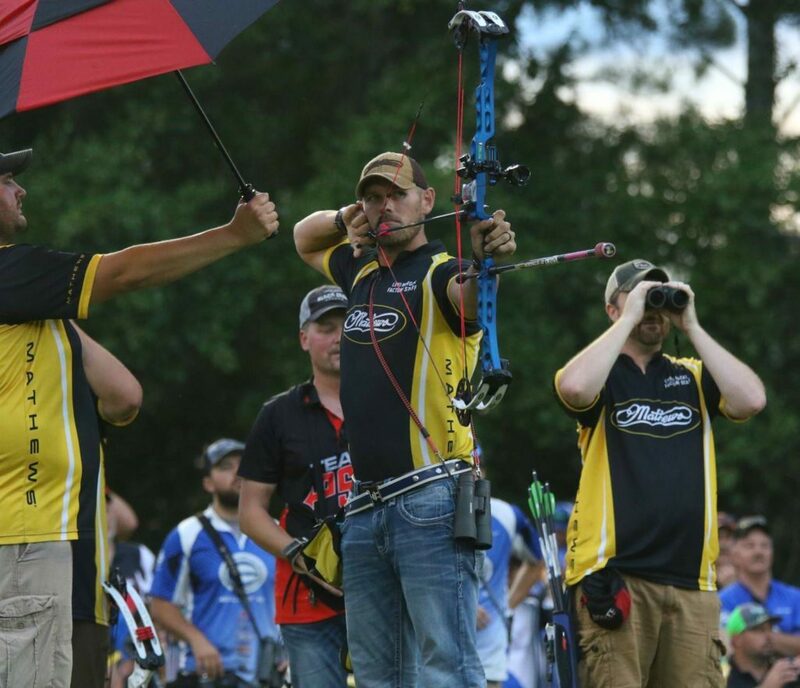 Gillingham, Gold Tip’s Pro Staff manager, edged Morgan and fellow Gold Tip pro Joby Shaw to win the third leg of the IBO National Triple crown in the Men’s Pro Division. McGladdery won the Women’s Pro Division and cumulated enough points to also take the Women’s Triple Crown title. The IBO and ASA target circuits are two of the most demanding and contested professional archery circuits in the world. The IBO National Triple Crown series consists of three events, plus a culminating IBO World Championship. An event round consists of 40 targets at unmarked distances, with 20 targets shot each day. ASA 3-D archery features competitive rounds shooting lifelike, three-dimensional animal targets made of foam. Pro Classes shoot 40 targets with the top five scores advancing to a shootdown featuring six additional targets with a more difficult 14-point ring added to enhance the risk and reward for extreme accuracy.